Global Finance: What has been the impact on QNB from the Saudi blockade, and how has the bank managed its position? Ali Ahmed: QNB’s strategy is to ensure the diversification of funding in terms of product type, currencies, tenor and geography. We issued a $720 million Formosa bond in January in Taiwan and a 700 million Australian dollar ($539 million) Kangaroo bond in the Australian market. This was followed by a $3.5 billion three-year senior unsecured term loan facility issued in February…[which] upsized due to strong demand from the market, highlighting investor confidence in QNB’s strong financial fundamentals. : QNB has emerged as a stronger financial institution. For QNB, the impact of the blockade was mainly felt through tighter liquidity, but deposit outflows have been more than offset by public-sector injections. Deposits from the blockading countries were less than 4% of QNB’s balance sheet. Most of those deposits have left the bank and were efficiently replaced by new funding from major institutions in Europe, Southeast Asia and the US, with much longer tenors and a broader customer base. GF: QNB’s domestic operations remain important. How has the recent performance been and what is the outlook domestically? 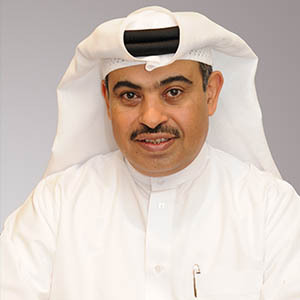 Al-Kuwari: Domestically, we will continue to focus on maintaining our leading position by maintaining our market share and profitability in the public sector as well as increasing our profitability from the private sector and individuals. We remain focused on four primary areas: utilities, transport, 2022 FIFA World Cup infrastructure, and real estate. In addition, we are supporting a number of private-sector initiatives to make Qatar more self-sufficient in food production, logistics and manufacturing. GF: What potential new markets or regions are you looking at to further develop your international footprint? Al-Kuwari: Our growing international footprint is largely in frontier and emerging markets. With regard to future expansion, we are specifically targeting the ASEAN economies—export-oriented economies that exceeded global economic growth in the past two decades. Furthermore, we recently opened our first branch in India—the seventh-largest economy in the world and one of the fastest growing major economies. For 2018, we plan to strengthen our presence in Asia through opening a branch in Hong Kong, one of the world’s global financial hubs and a gateway to China. 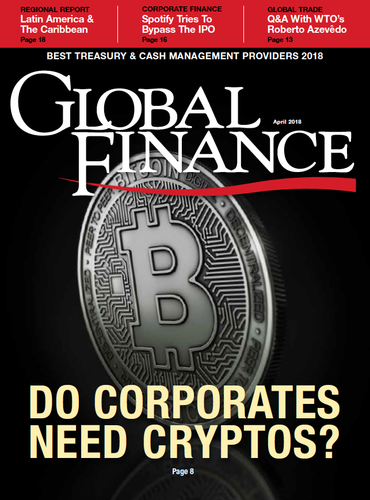 GF: The aim of becoming a leading global bank remains. What main pillars of activity and presence will be developed to achieve this? Al-Kuwari: QNB will continue to bolster our specialized global wholesale business by expanding our presence to regional hubs and business-origination centers, as well as refining our value proposition. We are positioned as a gateway to the Middle East and Africa. Moreover, we also aim to expand in the asset and wealth management arena. QNB aims to increase the contribution from its international operations, by strengthening its presence in markets that we have already entered and entering new high-growth markets. Last but not least, the financial-services industry is evolving and is at the cusp of a paradigm shift. In response, we have defined innovation as a new strategic component. We view this as an additional revenue-generating opportunity and have commenced a groupwide innovation program. GF: Where will QNB’s growth come from in 2018, in terms of both assets and earnings? Al-Kuwari: We expect another year of continued top-line and bottom-line growth for the bank. The economic prospects in our three core markets—Qatar, Turkey and Egypt—are favorable. The prospects for the rest of emerging Asia and Europe where we are also present are good, as their economic recovery began to gain speed in late 2017 and is expected to continue. On a consolidated basis, we expect 7% to 9% growth in QNB’s balance sheet, and 6% to 7% growth in P&L.